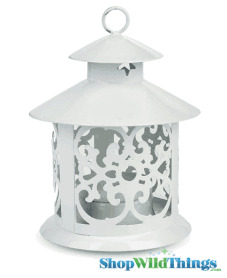 This Mini Taj Hurricane Candle Lantern is so adorable! The base is 2.5" in diameter and it's 4.5" high with a sturdy 1" loop for hanging. 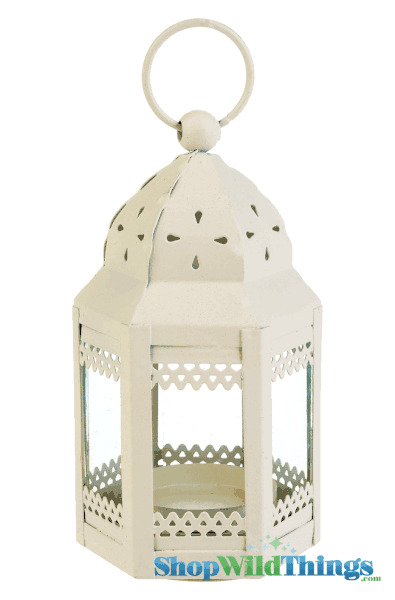 The dome of this beige lantern has tiny teardrop cutouts and the body has 6 sides with real glass panes! The bottom pops off with a simple twist and will hold a flameless LED votive or tea light up to 1.5" in diameter. 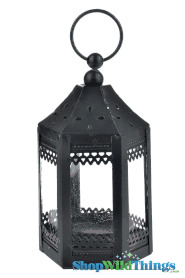 The perfect finishing touch to add an interesting light element to your backyard or patio!